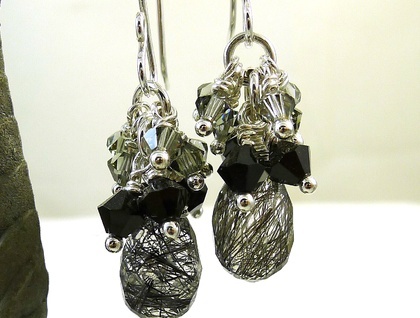 The main focal of these earrings is the gorgeous black rutilated quartz gemstone with its intriguing web of black strands clearly seen in the stone. 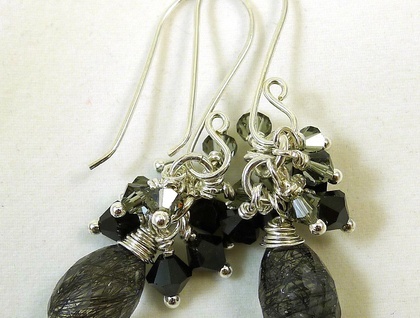 The gemstone is a faceted briolette that captures the light beautifully. 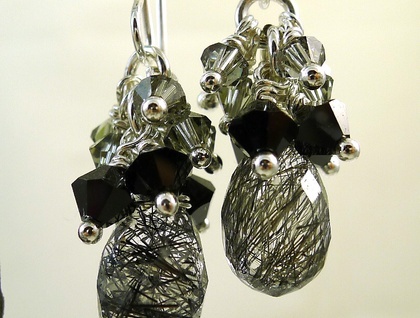 Each briolette is wire wrapped in sterling silver and suspended from a jump ring. Swarovski crystals in jet black and in crystal satin are also suspended from the jump rings and they compliment the quartz beautifully. The earrings are completed with hand forged sterling silver ear wires. 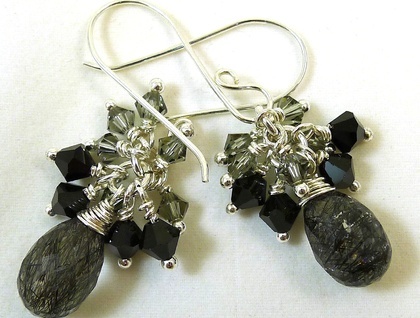 These are beautiful earrings, perfect to wear with that little black dress. Contact shazzabeth to enquire about payment or shipping options.